Friday, April 14, 2017 from 10a.m., to 2p.m. Come join us for a one of a kind Egg Hunt. Medieval Times has partnered with Maggie Daley to provide a unique event. Come for the egg hunt and enjoy all the activities. The Knights parade, Knight Performances, knight training, medieval crafts, and more! Children ages 1 through 12 years. Children must be accompanied by an adult. The fee is $5 per child. This event introduces young children to Mr. Hippity Hop, a giant white rabbit, as they search for plastic eggs among the toys. They receive a prize for recycling the eggs. This festive race is sure to bring lots of excitement and entertainment with 80’s rock music being played at the start and finish line, amazing amenities, and an overall fun, spring-filled race. All 5K race participants will receive bunny ears, neon sunglasses, a dri-fit unisex t-shirt, and A FINISHER MEDAL. 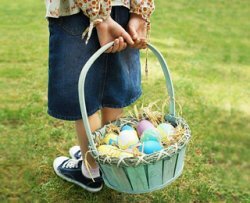 Activities include egg hunt with over 3000 candy filled eggs will be available for children (Ages 2-10), a live Petting Zoo, and opportunities to take a picture with the Easter Bunny. 5K at 9 a.m. Egg Hunt: 10:15 a.m. 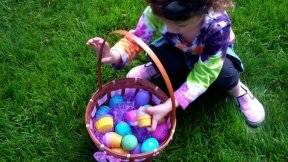 Egg Hunt for ages 2-10. Egg Hunt $10; 5K $35. Enjoy a brunch buffet, multiple egg hunts for different age groups, photos with the Easter Bunny, music, craft making and animal viewing-plus free, unlimited rides (weather permitting) aboard the AT&T Endangered Species Carousel and Lionel Train Adventure. Purchase tickets online. All ages. 8am – 1pm. See web site for pricing. Come out and enjoy Lunch with the Bunny at this fun-filled luncheon. Activities for the entire family will include food, arts and crafts, and music. Register at www.hornerpark.org Fee is per lunch.